Pro-lifers are often puzzled at the notion that someone could believe that abortion is morally wrong or bad, perhaps even seriously morally wrong or bad, and yet also believe that abortion should not be criminalized. 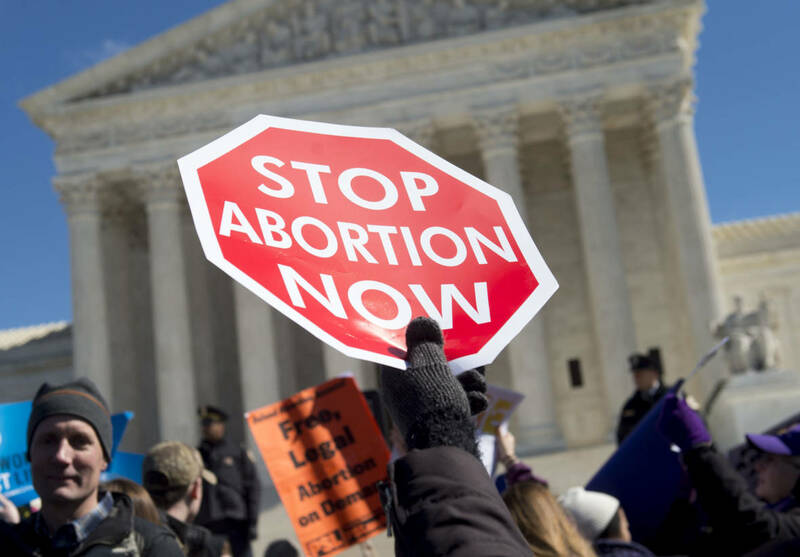 Along similar lines, pro-lifers are often puzzled by the notion that someone could desire that abortion be rare, and yet also hold that abortion should be legal. It’s one thing to think that abortion is morally acceptable or neutral, and so should be legal on that basis. But it’s another thing altogether to think that abortion is (seriously?) morally problematic, and yet also that it should be legal. How can these beliefs fit together? Perhaps the most common way to reconcile these two beliefs is to argue that abortion restrictions don’t work. Instead of lowering the rate of abortion, they simply replace safe, legal abortions with unsafe, back-alley-style abortions. If we assume that laws can only be justified by the net value of their consequences—in particular, by whether they lower the rate of the problematic activity without too many countervailing costs—then abortion laws that make abortion less safe without lowering the rate of abortion will not be justified. If all of these assumptions hold true, I think one can consistently hold that abortion is morally wrong or bad (and thus hope that abortion rates go down for that reason), and yet also hold that abortion should not be criminalized. Indeed, it is safe to say that this is the moderate pro-choicer’s most popular gambit. The assumption that laws can only be justified on instrumental grounds is bound to be controversial. Some might hold that we have an obligation to prohibit certain evils whenever we can, even if, somehow, prohibiting such evils does not reduce the rate at which those evils occur, and even if there are additional costs attached to doing so. Of course, the only way that successfully prohibiting an evil wouldn’t reduce the rate at which that evil occurs is if the very act of prohibiting it causes more of it to occur. And it is very hard to see why this would be the case when it comes to laws that restrict abortion. At any rate, the point is that some people accept justifications for laws that are rooted in something besides their utility. For the sake of argument, I will grant the assumption that laws can only be justified by the net value of their consequences. More specifically, I will grant that abortion restrictions are justified only if they reduce the target behavior enough to offset any harms that are likely to result from enacting those restrictions. Indeed, for my part, I’m inclined to accept such a view of how laws are justified. But is it true that abortion restrictions don’t work? Rather than trying to answer this question in this post, I want to explore the more fundamental question of what it would take in principle to show that abortion laws don’t lower the rate of abortion. It might not be as easy as you think. Much of what passes for good reasoning on the question of the effectiveness of abortion laws is anything but. By my lights, there are two basic ways to evaluate the efficacy of a law: by careful empirical reasoning based on correlative data on abortion laws and abortion rates, and by an accurate assessment of the psychology of incentives of human behavior. In this post, I will discuss the former. Note that the question before us is whether abortion restrictions lower abortion rates, not whether they eliminate abortion altogether. This is important, because almost no one thinks that laws are justified only if they eliminate the target behavior altogether. Stealing still happens, despite it being illegal, and no one thinks that this constitutes a sufficient reason to overturn laws against stealing. Exactly how much a law must reduce the target behavior in order to be justified, especially if there are costs attached, is an interesting question, but it is beyond the scope of this post. Since the question is whether abortion restrictions lower the abortion rate, it will not do simply to show that abortion still happens in places where it is illegal. This tells us nothing about the effectiveness or ineffectiveness of abortion laws. This is so even if abortion is relatively common in regions where it is illegal. This is because, for all we know, the abortion rate could be higher were those laws not in place. All such facts would show is that abortion restrictions don’t eliminate abortion in those regions. Further, it will not do to simply point out that regions with more liberal abortion laws have similar (or lower) rates of abortion than regions with stricter abortion laws. These are mere correlations, and more is required to justify the dreaded leap from correlation to causation. More specifically, making that leap at this stage completely ignores the possibility of confounding factors. If there are other factors present in regions with stricter or looser restrictions that are likely to have an impact on the rates of abortion, those must be taken into account when evaluating the impact that abortion restrictions have on abortion rates. This can be done either by applying what we already know about the effects of such factors on abortion rates and adjusting accordingly, or by finding regions that are already comparable with respect to those factors. If, for example, regions with stricter abortion laws tend to have higher poverty rates than regions with looser abortion laws, and economic pressures are a plausible motivating reason why many women seek abortions, then one must adjust for the likely impact of the confounding factor of poverty when interpreting the relevant correlations. It may turn out that economic pressures are sufficient to bring the rates of abortion in regions with tighter restrictions in line with the rates of abortion in wealthier regions that have fewer or no restrictions. But it would not follow that the relevant abortion restrictions make no difference in the rate of abortion. In order to show this, the effects of poverty and wealth on the rates of abortion, as well as every other potentially confounding factor, would first have to be screened off. Then, if the rates of abortion are comparable, it will have been shown that the relevant restrictions make no difference on the rate of abortion. The same principles of good causal reasoning apply when we compare rates of abortion across time in the same region. In this case, you have to be sure to account for possible changes in potentially confounding factors. For example, if there is rapid economic decline around the same time that more restrictive abortion laws are enacted, and the abortion rate stays the same after the restrictions are enacted, one should not conclude that the relevant laws are having no effect. Again, one would first have to control for changes in the rate of poverty, as well as every other potentially confounding factor, before one can conclude that the relevant laws are not making abortion less common than it otherwise would be without those laws. This leads us right to the moral of the story. What we want to know is whether the abortion rate would be higher were it not for the restrictions in question. Unless and until the moderate pro-choicer makes good on this counterfactual claim, there is no reason to believe that abortion restrictions don’t lower abortion rates.